I grew up in an agriculture community where almost everything that happened depended on the weather, family functions and high-school sports. Both sides of my family were in the ag business and there were things about that lifestyle that I took for granted. Like where our food came from… besides the store or restaurant. Growing up in a small town and having lived as an adult in several large cities, I interact with many people who are removed from where their food comes from; most of whom have never been to a farm. 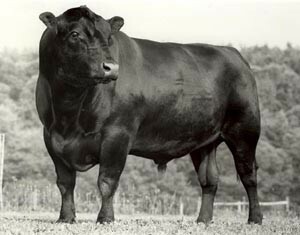 My maternal grandfather was a second generation row crop and occasional cattle farmer. There were usually chickens in the coop as well as a few hogs or goats in the barn. Grandpa Hoffman taught me about raising animals when I was a kid and I knew that our family ate the food that he raised on the farm. One time as a kid I helped butcher chickens and found out first-hand what it means to be a chicken with his head cut off. A chicken actually came running directly after me flapping its wings, immediately after having his head cut off! Needless to say I ran as fast as my eight year old legs would carry me and to this day, that may have been my fastest recorded 40 yard dash. Although I’m from a farming community, I grew up “in-town” on Main Street, not in the country. So I was not a farmer. I did work on Grandpa’s farm, but not every day like farm kids. I mostly played sports and went swimming during the summer months until I was about twelve; that’s when I started bailing straw and working more. 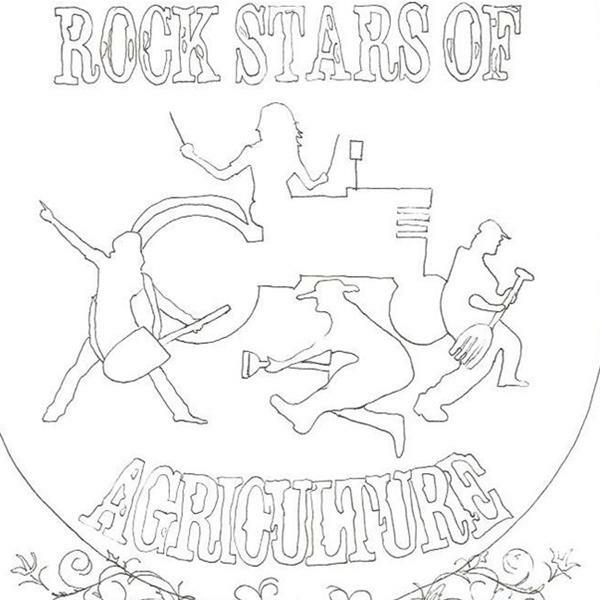 Farm kids were driving tractors and doing chores way before twelve. One of my favorite things about living in town was that I grew up less than a mile from my fraternal grandparents and I spent a lot of time there. I was really close with my Grandpa Inkrott; he taught me a lot about farming, but not so much on the farm stuff. He knew the feed business. Grandpa Art and his buddy E.J. 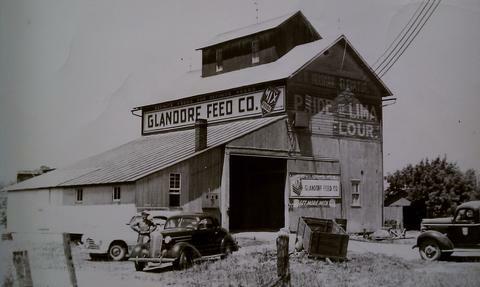 Meyer started Glandorf Feed Co. in 1942 when they purchased a flour mill; it has been a growing family business ever since. Grandpa knew crops and the weather better than anyone I’ve ever met. He and my Grandma, and sometimes me, would take “crop tours” all over the Midwest just to look at fields. Grandpa would get out of his suburban on an old state highway and walk a few rows into the field, touch the crops, smell the crops, pick up some dirt and get back in the suburban and talk for an hour about moisture, yield, and water sheds and heat index. He was pretty awesome. I learned more about crops and the weather by the time I was 10 years old than any meteorologist on television today. I also prayed more Hail Mary’s and said more rosaries than anyone on TV today, but that’s what a crop tour was. Crop talk, praying, and usually talking to farmers about the weather and if there was a place nearby to get an ice cream cone. My grandfathers, who have both passed, taught me many great lessons over the years. Where my food came from was just one of them. 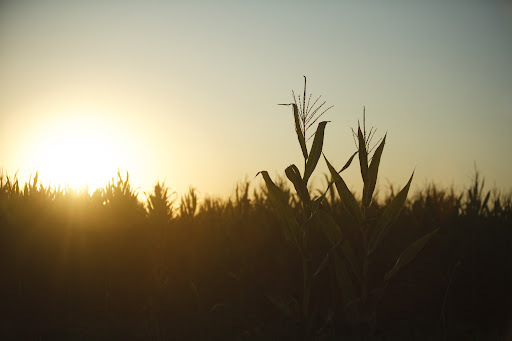 I recall dozens of memories and stories that involve my family, farming, raising animals, planting and harvesting crops… These experiences have shaped who I am, and yes, many of them took place on a farm, a feed truck or in a field. Many of the folks I come across today on the subway, in a convenience store or eating in a restaurant would have no idea what a grain elevator or a hog trough looks like. Their food is on a plate or on a shelf, and folks simply take it. People today know and expect that their food tastes good; but where it comes from… that is the best part. After following very closely two Future of Food events in the past couple weeks led by the PulitzerPrize winning editor of the Washington Post, Mary Jordan, I’ve had my eyes opened to just how complex and how many people in our country are concerned with the issue of feeding a growing global population. While many Americans are unsure where their next meal is going to come from, thought leaders in the agriculture and political spaces are considering how America will help feed an expected 9 billion people by the year 2050. In food insecure countries around the world, neither farmers nor government have the necessary land or water needed to support a growing population. Without proper land and water systems at their disposal, the likelihood of producing an ample amount of food to feed their people is grim. As a result, people tun to any means necessary to survive which which means increased violence and unrest. In areas like the Middle East, there has already been in influx of violence, protest and crime due to the hunger issue. Iran, North Korea and China, as they experience rapid population growth, area also developing weapons which may at some time be used to attain food from countries that have water systems and land needed to produce food. As we think about the role of food in regard to national security, it’s also vital to look at the quality of food that is available. Just eating what’s available isn’t the answer. Our country has an obesity epidemic that costs us trillions in healthcare annually as a result of poor choices and limited access to healthy food. There are growing concerns from a nutritional standpoint as the weight of our nation increases, childhood obesity statistics grow and the number of people suffering from diabetes, hypertension and other weight related illnesses cost Americans an astronomical amount of their income in healthcare annually; we have to ask ourselves, where does the relief come from? Today at the Future of Food event in Denver it was reported that nearly 40 percent of all the food produced in America is wasted. Either at production sites by manufacturers or consumption sites by people, we waste enough food to feed millions of hungry people. In fact, America wastes approximately one ton of food per hungry person in the world every year. As millions starve around the world every day, we have more than enough in our dumpsters to feed them a ton of food each… When you consider how wasteful and inefficient we are, it’s no wonder we’ve acquired the reputation we have with these countries. If you think this topic is interesting, join the conversation on Twitter by using the hash tag #thinkfood and weigh in with your opinion. There are three upcoming events led by Mary Jordan and the Washington Post before the 2012 election; starting on July 16th and concluding in October. If you care about the future of food, I challenge you to think about where it’s going to come from. I wrote an essay for a NY Times writing contest. I didn’t make the top five and have my piece featured in the Times, however I make an ethical case for why it’s ok to eat meat below. The other morning while brushing my teeth I thought about your contest as I spit a mixture of bad breath and refreshing cool mint into the sink. It would take another minute or so of wakening and contemplation, but again after spitting, I realized that in order to answer your question, I would need to take a look back. While inspecting my teeth and well before morning caffeine, I pondered my lack of elongated k9 incisors. It occurred to me that longer and sharper k9’s would surely aid the tearing and chewing of a poorly prepared New York strip, and certainly would be fun on Halloween, but I concluded the ones I have do the job just fine; minus the Halloween fun. Later that morning during a grinding Chicago commute, I caught myself thinking back to the days of hunting and gathering and how much simpler life must have been. I thought about how those who were here before us lived off the land by gathering fruits and vegetables and catching fish and shell fish from streams. As the population of hunters and gathers grew, so did the need for leaders of communities to provide more food without moving all over the land like nomads. So they began to think with their primitive minds of ways they could accomplish this feat. They built tools and realized with these tools they could capture varieties of different food sources. They discovered they could roast their food over fire and that if they did these things, they could provide safety and health to a growing number of people and they could sustain their existence. Those who came before us discovered that eating a variety of berries, roots, fish and animals from the plains meant they could enjoy the taste of food and that their lives were a little better with the addition of the new foods. Possibly the greatest lesson learned during this age, was that the smartest and most forward thinking of the hunters and gathers were the most respected throughout their land. When the people from the east hunted a new species on the plain and provided it to their community, no one in the west intruded or told them they were wrong. There was mutual respect for each other’s techniques, and neighbors desired to be educated about new food sources. Neighboring communities collaborated to find the best ways to hunt and prepare the catch as well as utilize the energy that the food source provided to them. Neighbors have always disagreed with each other but through that disagreement, change, healthy discussion and compromise have led to the evolution of the world population. Neighbors for ages have sat at the negotiating table to discuss significant matters, and for ages, placed at the table was food and drink, shared as a sign of peace and nourishment so that leaders could think with clear minds, without hunger. 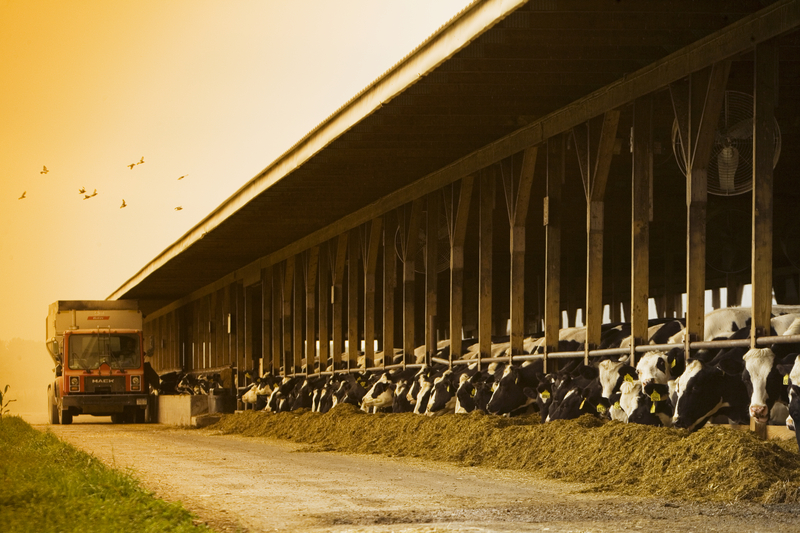 As the leaders of today sit at the negotiating table to discuss a rapidly growing population and a scarce food supply, it seems ethical that all types of food be considered to compliment the feeding the world conversation. We may personally disagree on taste and dietary preferences, but it’s our responsibility to think forward about all people and provide them with access to affordable and nutritious food. Foods of all tastes and cultural preferences should be available to them – responsibly, as they were available for us.